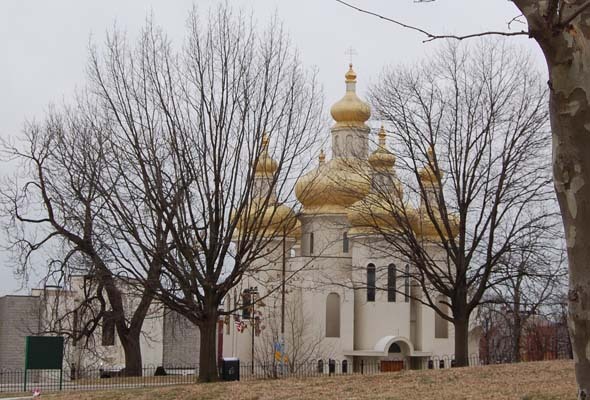 This beautiful Ukrainian Catholic Church was across the street from Patterson Park. BALTIMORE, Md. — Sunday was a day of almosts. We almost went to the National Zoo, but it had taken us so long to get out of New York on Saturday that we slept in ridiculously and were still crazy exhausted. I almost made it to Target without getting lost. I could see it, but it took me three U-turns to get there. 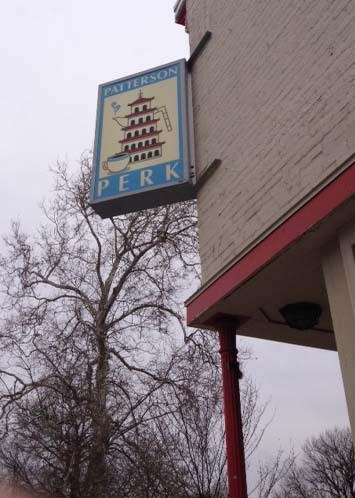 Borrowing from Friends’ Central Perk, this little place is across the street from Patterson Park. We almost ate at the Papermoon Diner, but the lineup was so long and thick were couldn’t get close enough to find out how long the wait would be and we were already very hungry. We almost visited the gravestones of the inventor of the Ouija board and of Edgar Allan Poe, but the St. Patrick’s parade was just getting started and we couldn’t get close. I almost lost my cool when we got stuck in the St. Pat’s traffic for the fifth time, but a cop diverted us down a neat little avenue where we discovered a roundhouse and dozens of big old train cars. We almost visited the attached railway museum, but it was exactly 4 p.m. when we found the entrance. The museum closes at 4. Somewhere in behind the B&O Railroad Museum. I almost took a picture of the stunning, gigantic Chesapeake Detention Facility, but the correctional officer encouraged me not to. She almost slayed me with her glare. 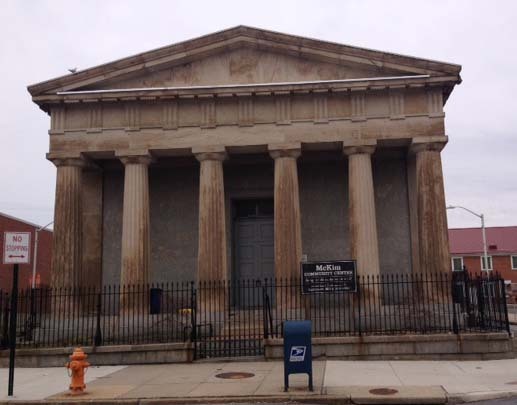 Fortunately, although Baltimore has tons of fun-looking activities, it’s also a neat city to drive through. There are beautiful old row houses and gorgeous but abandoned homes, boarded-up buildings next to lovely parks. It was a little like St. Louis and a little bit like Portland, a little bit like Chicago and a whole lot of something uniquely Baltimore (just add hipster wannabes and stir).